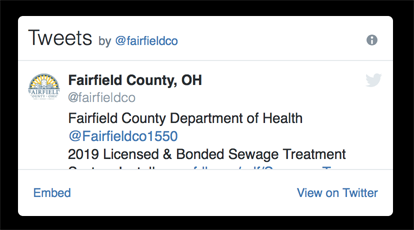 Welcome to Fairfield County Clerk of Courts, Lancaster, Ohio. will be available online beginning July 30, 2018. 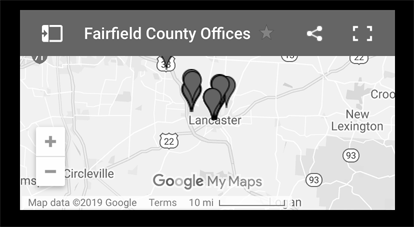 Welcome to the website for the Fairfield County Clerk of Courts. The Clerk of Courts is the “keeper of the records” and is the public’s gateway to the Court system. The Clerk’s office maintains the records for the Common Pleas Court, the 5th District Court of Appeals and is also responsible for issuing and maintaining all motor vehicle and watercraft titles in Fairfield County. The Ohio Revised Code requires the Clerk of Courts to provide access to the legal and title records that are filed and maintained in this office and make them available to the public. In addition, the Clerk collects all fines and fees and distributes them to the appropriate local governments and funds. The Clerk of Courts maintains three public offices to handle the day to day legal and title operations. 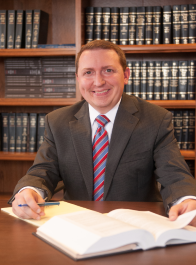 As Clerk of Courts, Branden C. Meyer is responsible for managing an annual budget of more than $2.6 million and has a workforce of 40 employees. Our office is committed to excel in service, be innovative, be fiscally responsible, be user-friendly and have a vision for the future. We will consistently seek to deliver new and enhanced services at the Clerk’s office because the citizens of Fairfield County deserve the best service that we can provide. We will continue to make improvements to this website to ensure the highest level of customer service.